Use safety nets as fall arrest equipment. Clearly define and properly supervise working positions and access to the roof. Provide a scraper at the bottom of all ladders to clean boots. Wear suitable clothing and boots, avoiding loose, flapping clothing and trousers. Treat all roofs as fragile and always use crawling boards, roof ladders and walkways. Lay correct staging over the purlins ahead of covering. Use two or more workers for safe handling of sheets if necessary. Always fully fix sheeting before moving on. Remove all loose material from the roof as work proceeds. Take extra care on roofs during windy, wet or frost conditions. Consider load-bearing capacity when transporting heavy loads over the roof. Provide properly constructed walkways where regular access is required to reach roof lights, ventilation and service ducts. Check carefully for any roof lights in non-fragile roofs as they can be difficult to spot. They may have been painted over. In bright sunshine they can blend in with the surrounding sheets. 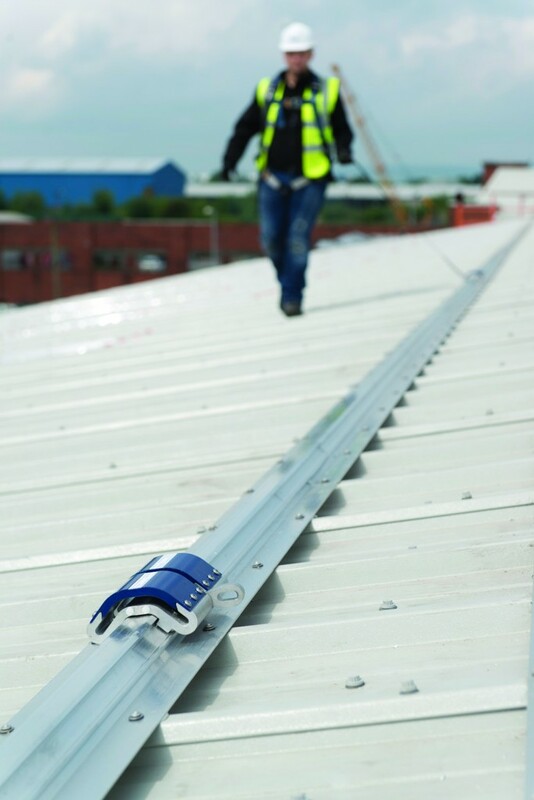 Take precautions to prevent falls wherever the job involves passing by or working within 2m of fragile roof lights. For example: fit suitable, secure covers over the roof lights; or provide suitable guard rails and toe boards around the roof lights; or provide a safety net, airbag or similar immediately below the roof light. Always observe the relevant provisions of the Health & Safety Act, and any other legislation currently in force. Carry out work directly below the area being covered. Stack materials on roofs, unless specified by manufacture load out instructions. Leave tools on the roof space. Cut in confined spaces unless dust extraction equipment is available.